1. 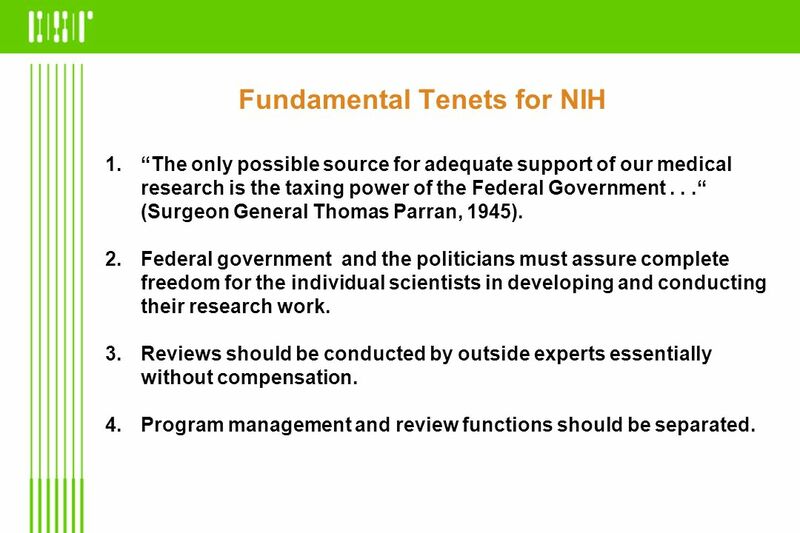 “The only possible source for adequate support of our medical research is the taxing power of the Federal Government . . .“ (Surgeon General Thomas Parran, 1945). Federal government and the politicians must assure complete freedom for the individual scientists in developing and conducting their research work. 3. Reviews should be conducted by outside experts essentially without compensation. Program management and review functions should be separated. 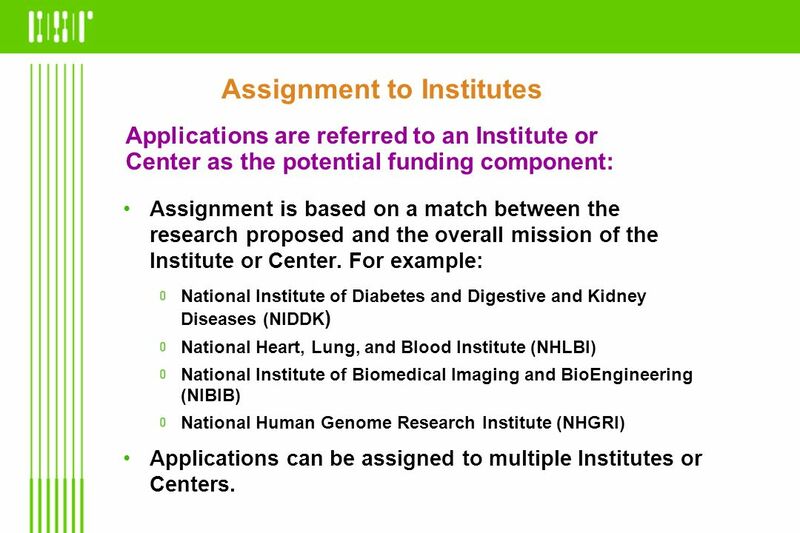 Applications are referred to an Institute or Center as the potential funding component: Assignment is based on a match between the research proposed and the overall mission of the Institute or Center. For example: National Institute of Diabetes and Digestive and Kidney Diseases (NIDDK) National Heart, Lung, and Blood Institute (NHLBI) National Institute of Biomedical Imaging and BioEngineering (NIBIB) National Human Genome Research Institute (NHGRI) Applications can be assigned to multiple Institutes or Centers. 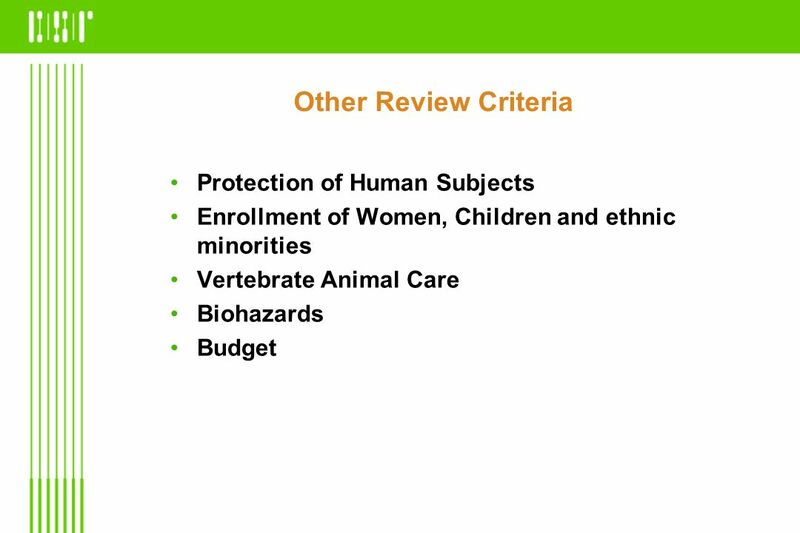 Applications are assigned to Integrated Review Groups (IRGs) for review. 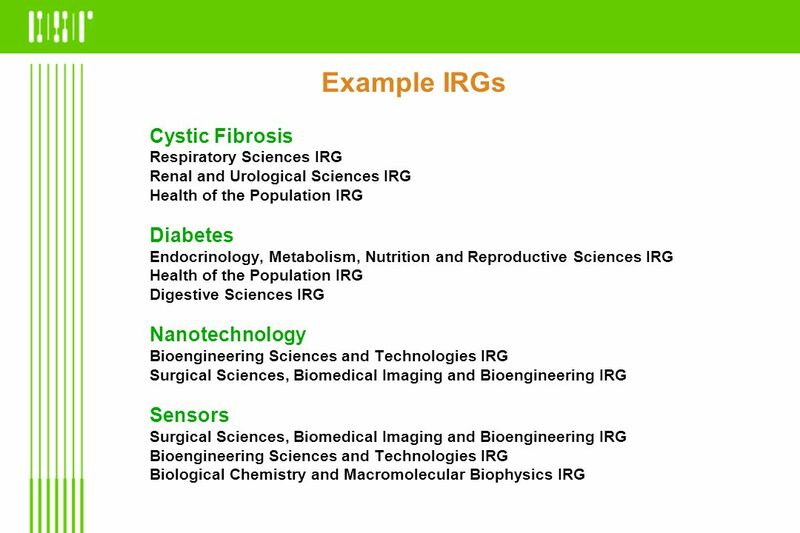 IRGs are clusters of scientifically related study sections. 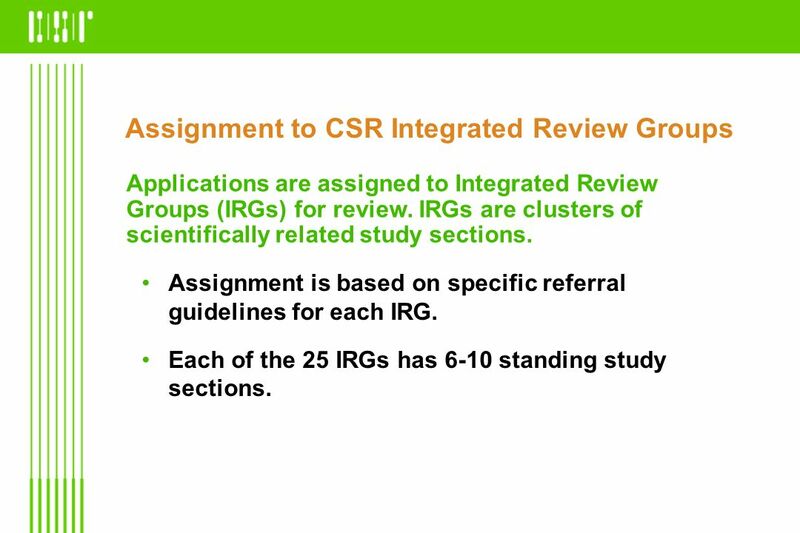 Assignment is based on specific referral guidelines for each IRG. 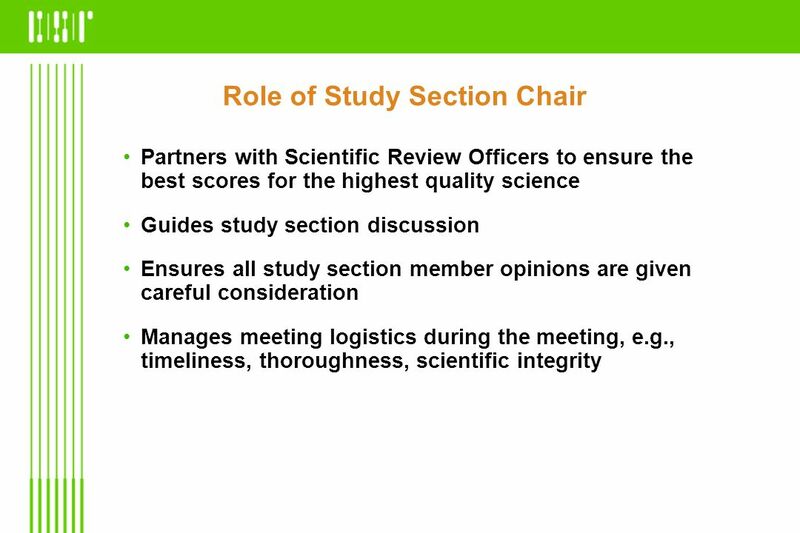 Each of the 25 IRGs has 6-10 standing study sections. 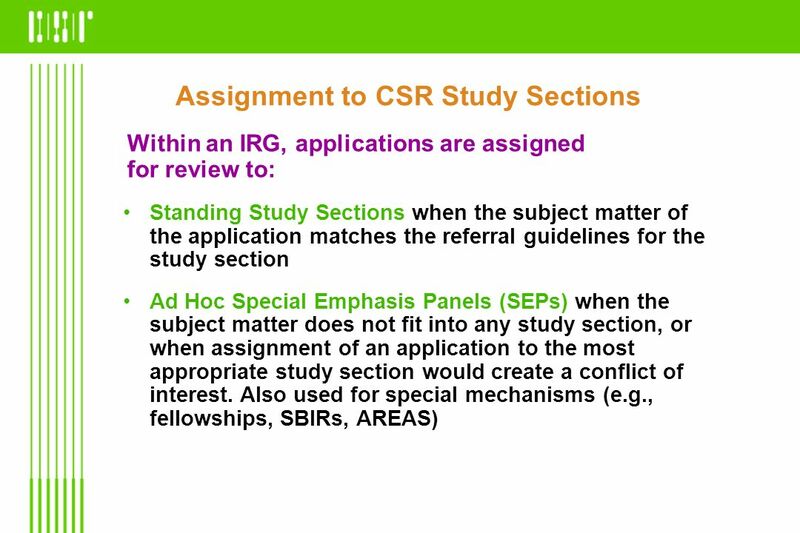 9 CSR Study Sections Each CSR standing study section has about members who are primarily from academia. 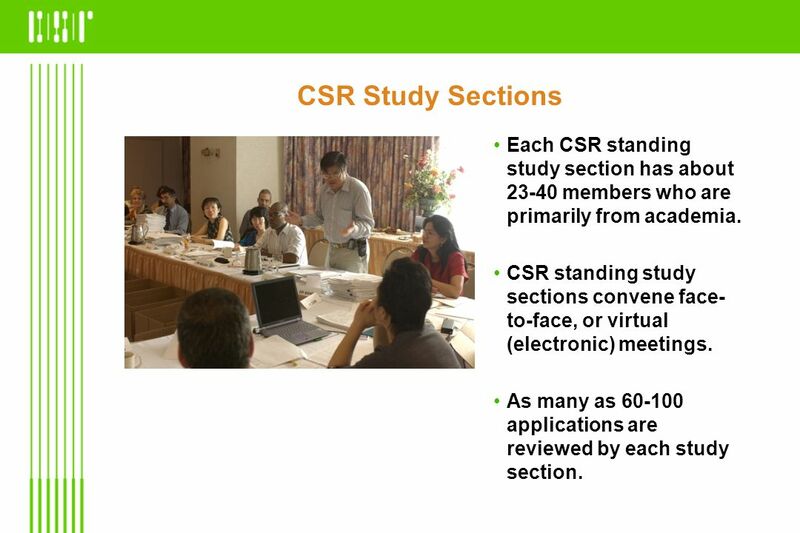 CSR standing study sections convene face-to-face, or virtual (electronic) meetings. 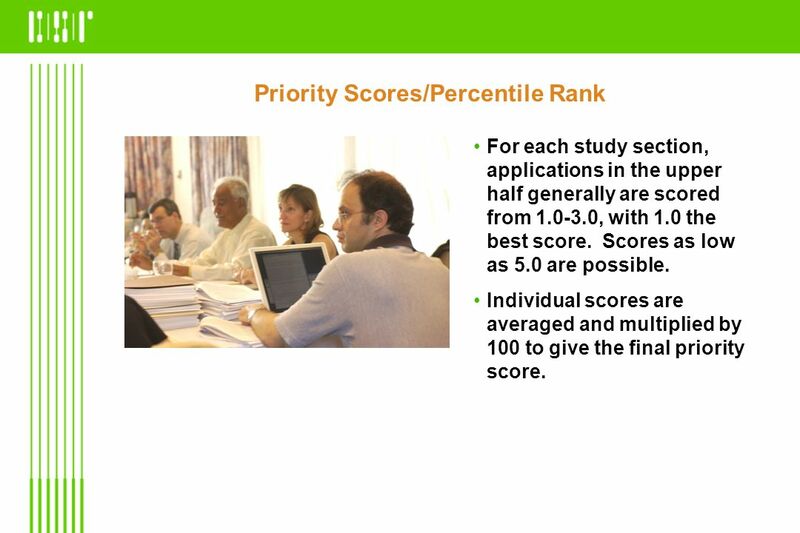 As many as applications are reviewed by each study section. 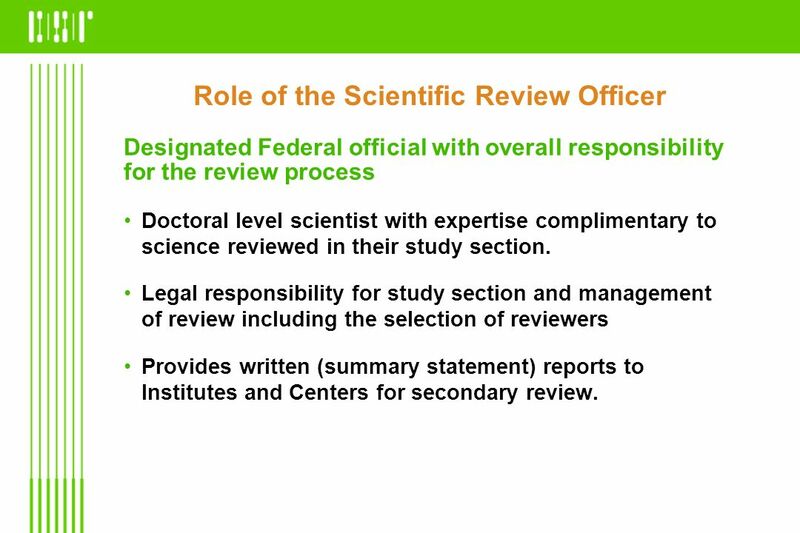 Designated Federal official with overall responsibility for the review process Doctoral level scientist with expertise complimentary to science reviewed in their study section. 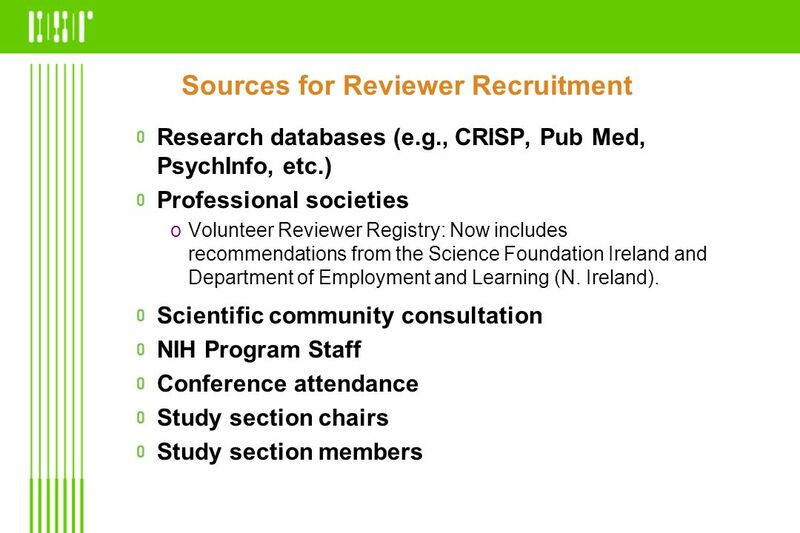 Legal responsibility for study section and management of review including the selection of reviewers Provides written (summary statement) reports to Institutes and Centers for secondary review. 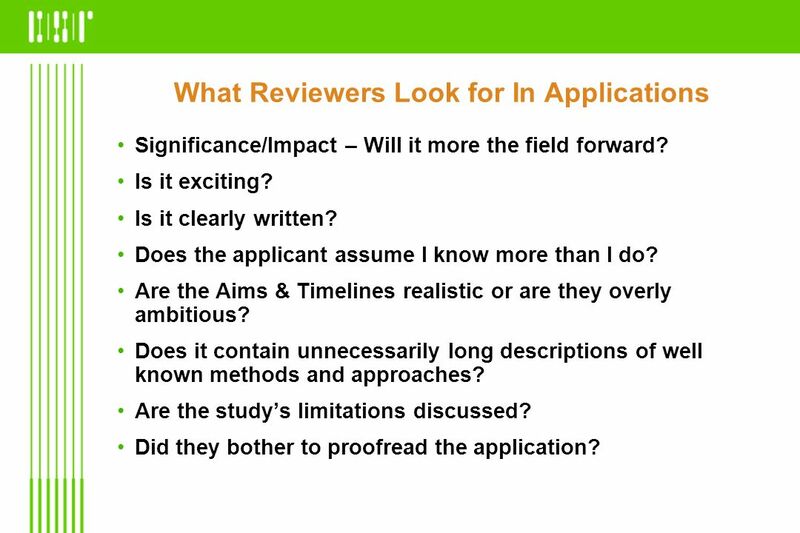 SRO assigns appropriate reviewers to each application. 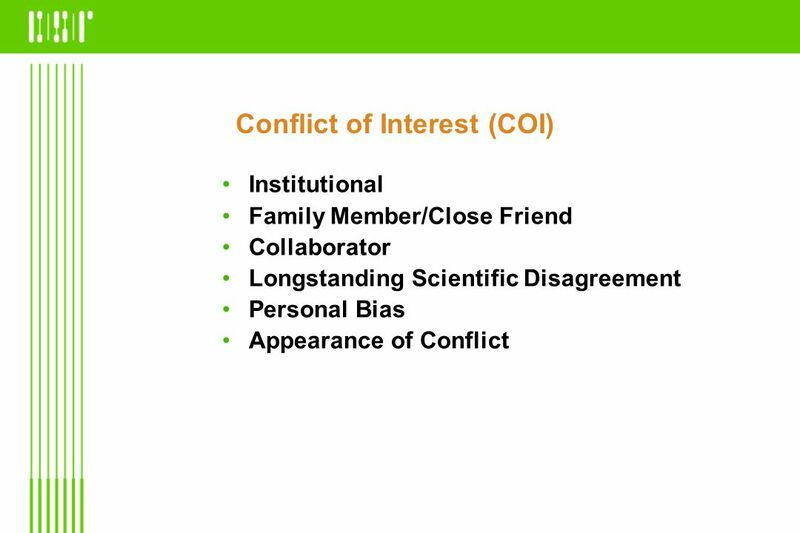 Conflicts of interest identified. Applications sent 6 weeks prior to meeting. 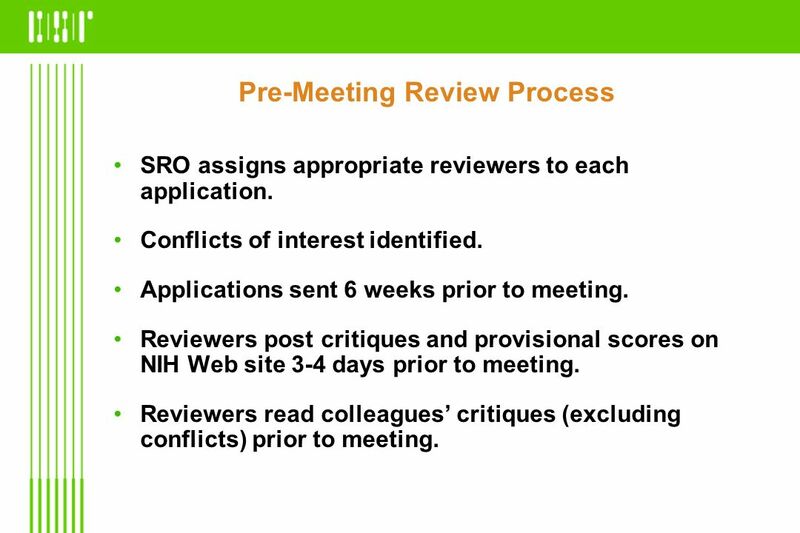 Reviewers post critiques and provisional scores on NIH Web site 3-4 days prior to meeting. 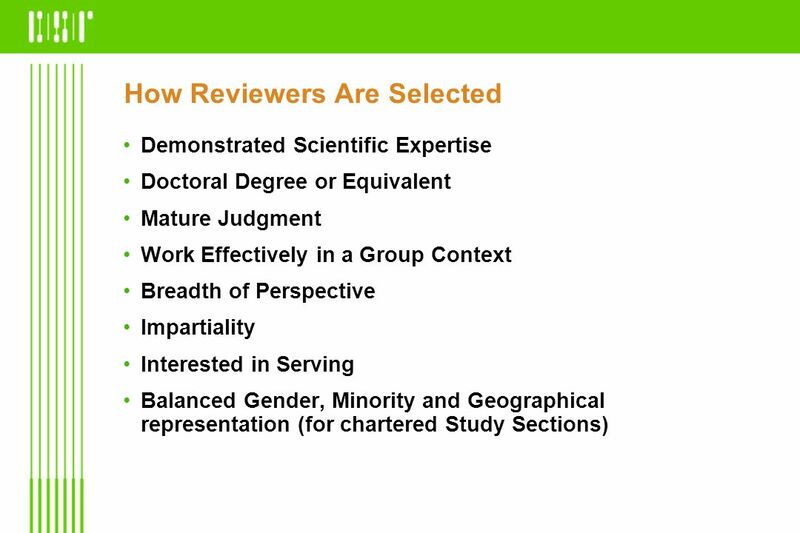 Reviewers read colleagues’ critiques (excluding conflicts) prior to meeting. 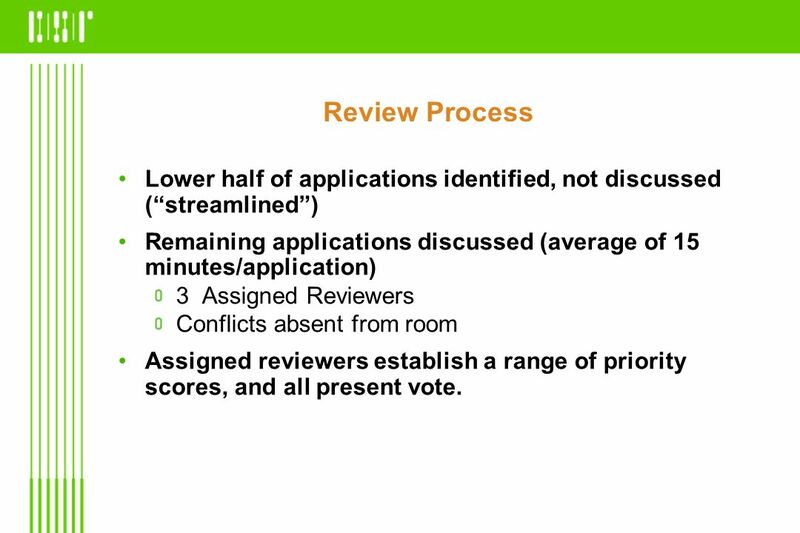 19 Review Process Lower half of applications identified, not discussed (“streamlined”) Remaining applications discussed (average of 15 minutes/application) 3 Assigned Reviewers Conflicts absent from room Assigned reviewers establish a range of priority scores, and all present vote. Significance/Impact – Will it more the field forward? Is it exciting? Is it clearly written? Does the applicant assume I know more than I do? Are the Aims & Timelines realistic or are they overly ambitious? Does it contain unnecessarily long descriptions of well known methods and approaches? Are the study’s limitations discussed? Did they bother to proofread the application? 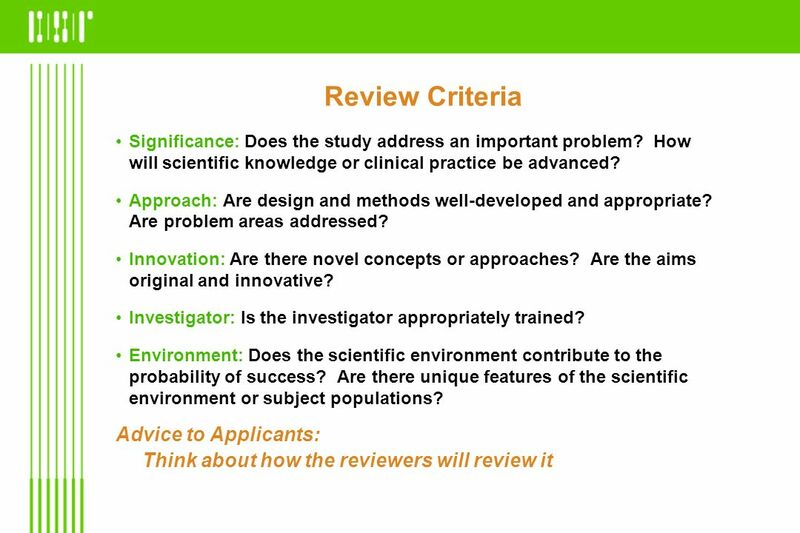 Reviewers have opportunity to revise written critiques based on discussion & reading of colleagues’ critiques. SRO writes Resume & Summary of Discussion for scored applications’ summary statements. Unscored applications receive critiques only. 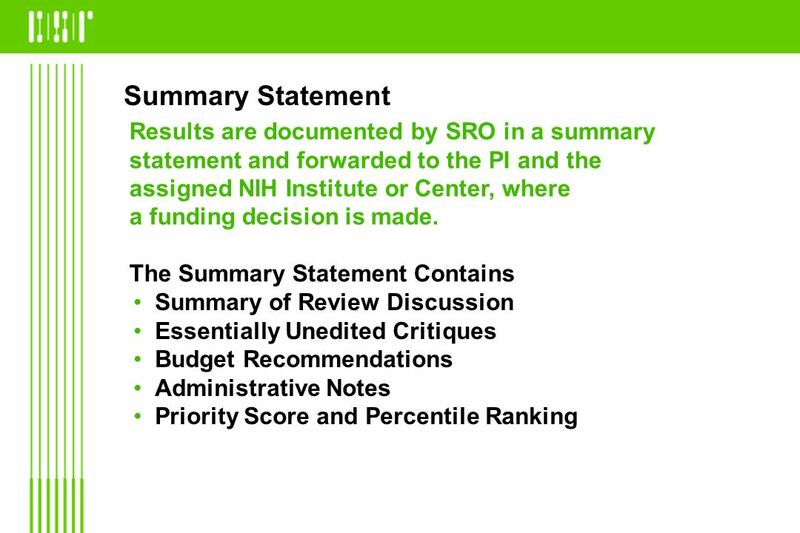 Summary statements available within 30 days of meeting (10 days for new investigators). 26 What Determines Which Awards Are Made? 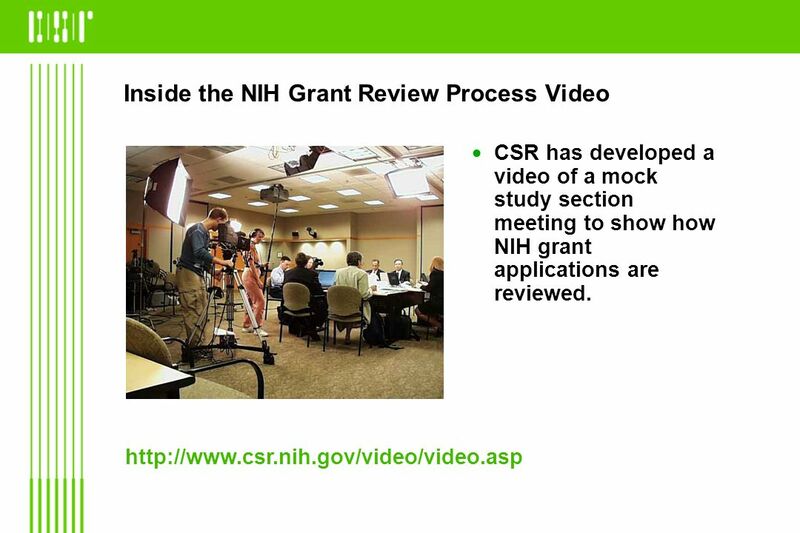 CSR has developed a video of a mock study section meeting to show how NIH grant applications are reviewed. 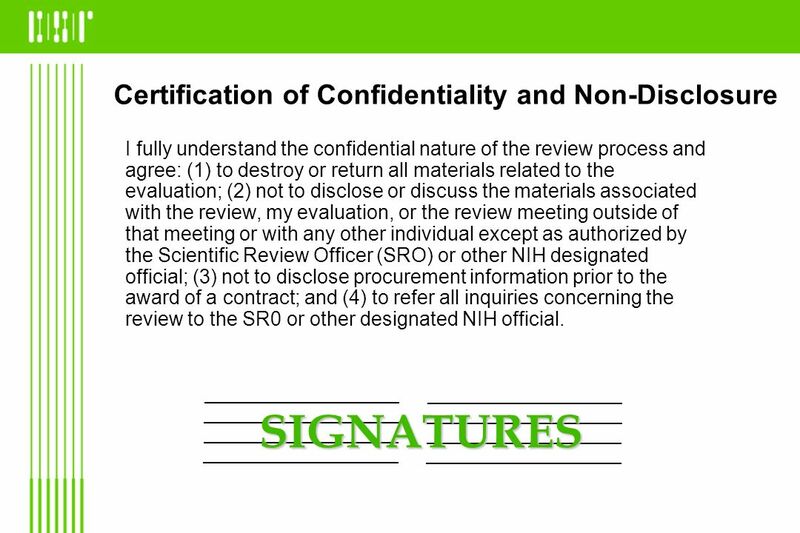 Download ppt "Peer Review at the NIH Center for Scientific Review"
Road to Independence Bill Fay, MD University of Missouri FINANCIAL DISCLOSURE: No relevant financial relationships exist. CAREER WORKSHOP APRIL 9, 2014 Putting a Face on the CAREER Peer Review Process Ross Ellington Associate Vice President for Research FLORIDA STATE UNIVERSITY. 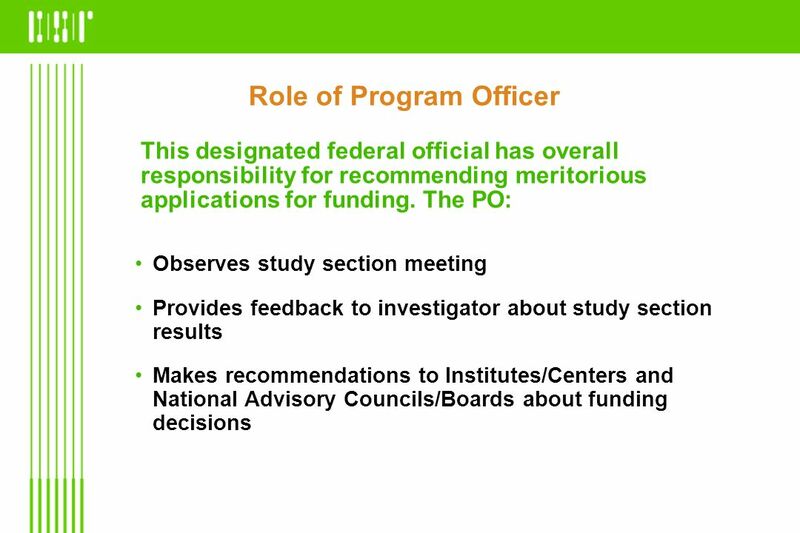 NIH Mentored Career Development Awards (K Series) Part 5 Thomas Mitchell, MPH Department of Epidemiology & Biostatistics University of California San Francisco. 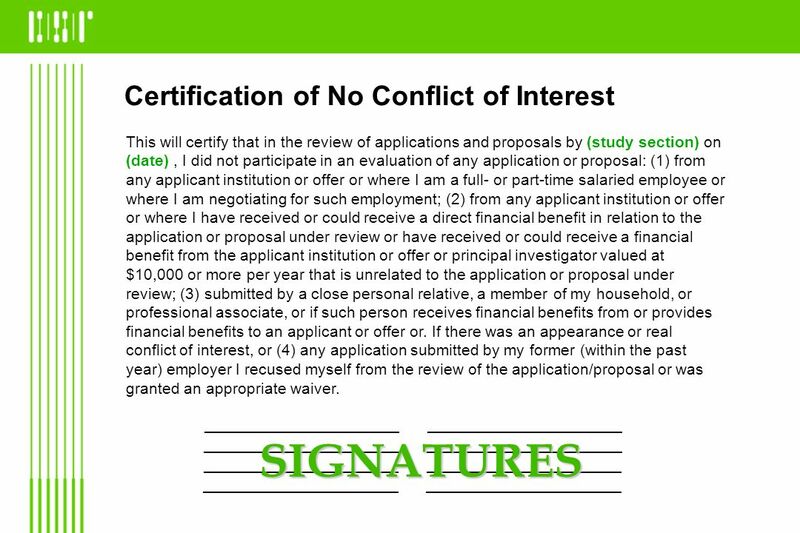 Ten Fatal Flaws of NIH Grant Submissions (and how to avoid them) Steffanie A. Strathdee, PhD Thomas L. Patterson, PhD. NIH Academic Research Enhancement Award (AREA) R15 AASCU November 5, 2009 Mary Ann Guadagno, PhD Office of Extramural Research National Institutes of Health. Laurie Tompkins, PhD Acting Director, Division of Genetics and Developmental Biology NIGMS, NIH Swarthmore College May 14, 2012 NIH 101. 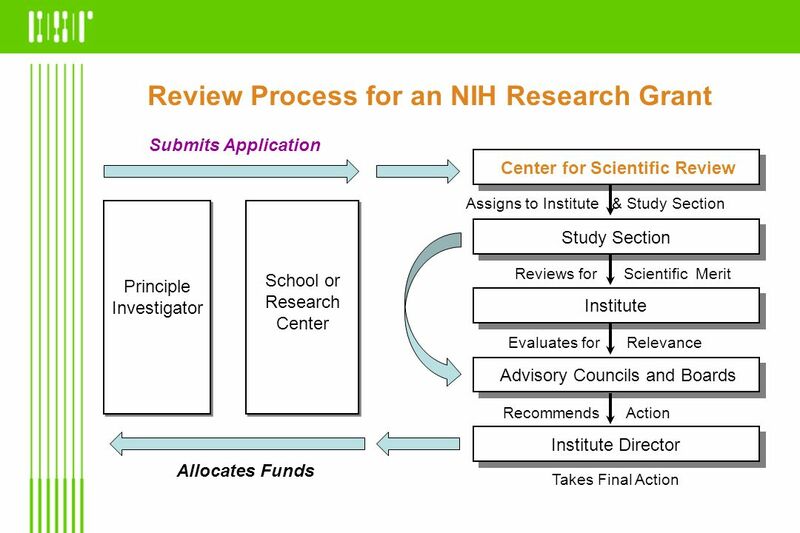 The NIH Peer Review Process Sally A. Amero, Ph.D. NIH Review Policy Officer Office of Extramural Research 2010 NIH Regional Seminars. 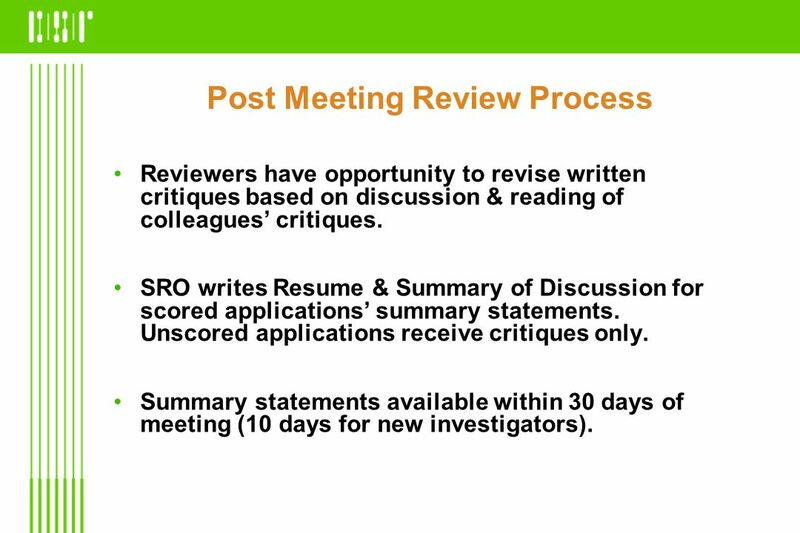 The Proposal Review Process Matt Germonprez Mutual of Omaha Associate Professor ISQA College of IS&T. California State University, Fresno – Office of Research and Sponsored Programs Basics of NIH – National Institutes of Health Nancy Myers Sims, Grants. 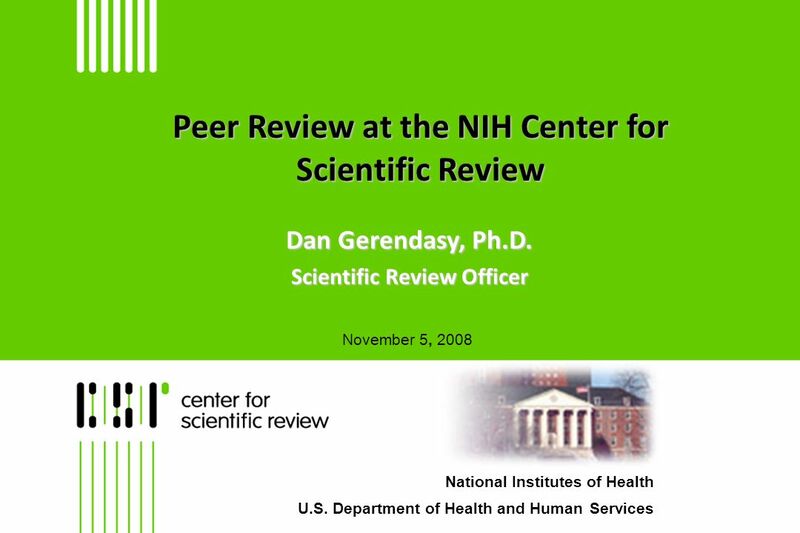 Center for Scientific Review National Institutes of Health Department of Health and Human Services Toni Scarpa NIH Peer Review: Continuity and Change NIDA. 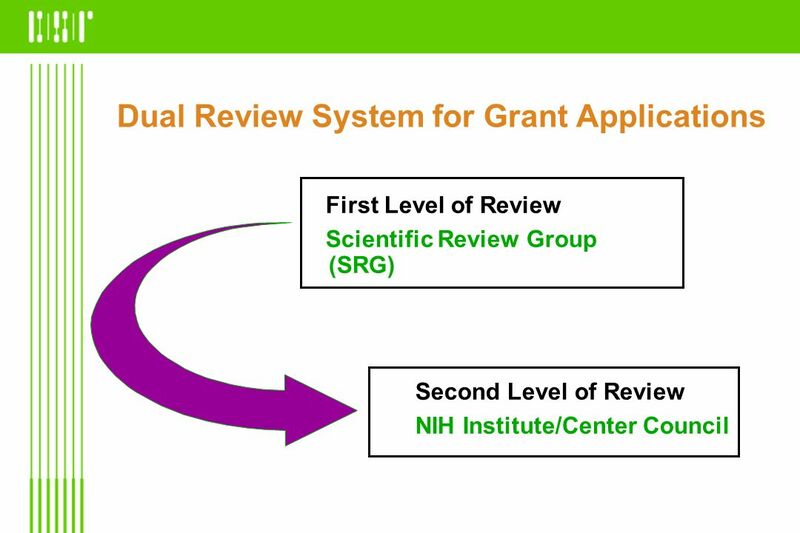 Grant Writing Thomas S. Buchanan NIH Review Process Study Sections Review Criteria Summary Statement Responding to a Review. 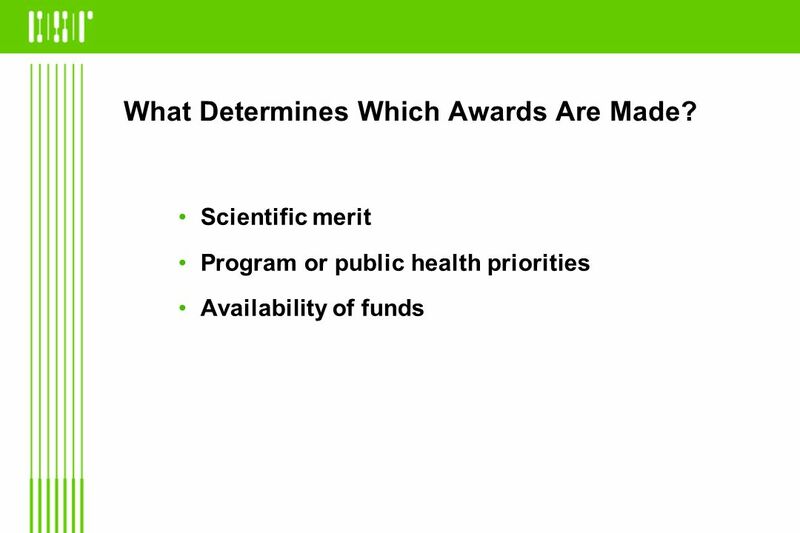 Fundamentals of NLM Grants National Library of Medicine Extramural Programs Updated 2015. The Review Process. Mail room 1  Approximately 50,000+ grant applications are submitted to NIH each year,  25-30% are funded  Competing grant applications. November 13, 2009 NIH PROPOSAL SUBMISSIONS: 2010 REVISONS.